Earlier this month PatLit reported here that Globe Law and Business were about to bring out a new title, International Patent Litigation: Developing an Effective Strategy. 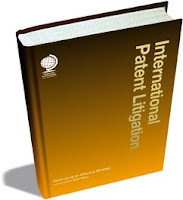 To recap, Consulting Editor David Wilson (Herbert Smith) has put together a compendium of patent litigation strategy contributions from some 15 countries, also contributing a lead chapter in which he provides an overview of issues in strategy development. The chapters are principally European, plus Japan and the United States. I've learnt from Fredrik Egrelius (Ericsson AB) that, this Wednesday, Sweden finally passed its law to implement the IP Enforcement Directive. The new law comes into force on 1 April. No English version is yet available. An avoidable case of estoppel? 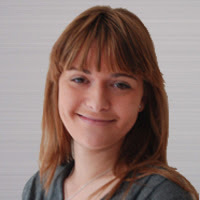 Earlier this month, in Kapur's application, BL O/033/09, 6 February 2009, a hearing officer for the Intellectual Property Office (UK) held that an applicant could not re-argue unamended claims after the High Court had already ruled on them in earlier proceedings. What happened here was that Kapur had filed six applications relating to a method of managing documents on a computerised system, each of which was rejected by the Intellectual Property Office on the grounds that it was not an invention, applying the Patents Act 1977, s.1(2) -- the provision that excludes the patentability of computer programs and mental acts as such. When Kapur appealed, Mr Justice Floyd (see critical discussion of his decision here) held that the applications were rightly refused as being computer programs as such but should not have been rejected as being mental acts and remitted the applications for further examination. The appeal was thus allowed in part and the applications were remitted for re-examination on what appears to be the assumption that, once Kaur had amended his applications so as to exclude claims to computer programs as such, their patentability could be considered (i) insofar as they were excluded computer programs and (ii) bearing in mind that there was also an exclusion relating to business methods, which Kapur would still have to circumvent. Kapur did not amend the claims, although he did put forward some further claims, and the examiner rejected them all. On appeal, the hearing officer held that the applicant was estopped by Floyd J's earlier finding of non-patentability as a computer program as such from arguing that the unamended claims should be allowed: accordingly, since all of the proposed amendments would also be excluded as computer programs, the applications were refused. The application of estoppel theory looks fine, as does the summary of the applicable principles in the Office Hearings Manual, which the the hearing officer cited. The thing that's slightly troubling here is that there is no clear indication that Kapur -- who represented himself -- was warned as to what the doctrine of estoppel by record (res judicata) was, how it operated and what the consequence of non-amendment was therefore likely to be. To the casual reader, unacquainted with the facts, this looks like one of those cases of a hopeless applicant running into a legal barrier that could be seen miles away. "The decision deals with almost all aspects of patent law: priority, clarity and sufficiency, novelty, inventive step and infringement. The Court follows the EPO case law road map on the validity topics (and in effect confirms correctness of TBA decision T 0246/04 of last year regarding the same patent). Parallel proceedings are pending in the UK and in Germany, but have not yet come to hearings". "4.55. The order will be enforceable regardless of any appeal, in spite of J&J’s opposition. In the opinion of the court, Novartis’ interests in direct enforcement of the judgment outweighs the interests of J&J in maintaining the status quo until the appeal is decided. Novartis’ interest follows from the continual nature of the infringement of its exclusive rights. J&J has insufficiently substantiated why that interest should in this case give way to its desire to continue the infringement. The mere fact that there is a limited number of parties in the market and that there is no reason to assume that J&J would eventually have no assets from which damage could be recovered, is – for whatever it is worth - not sufficient". You can read the full text of this decision here. In order to identify ways in which the Office might cater better for the needs of those wanting to litigate patents, an internal review of practice before its patent tribunal began in March 2008. With the objective of making patent litigation before the Office more accessible and less expensive in terms of time and money, the Office has sought views on how the tribunal might be improved from attorneys, solicitors, counsel and others. There have also been discussions with the European Patent Office and other national Offices to discover how litigation is conducted elsewhere in Europe. Overall there has been an enthusiastic response with numerous ideas and suggestions worthy of serious consideration. Many of these have the potential to improve access to patent litigation significantly". Greater use of technology; Alternative Dispute Resolution (ADR) promoted more widely. "Comments received will help shape a Tribunal Practice Notice which will set out changes to the existing practice as it relates to patent litigation before the Office". You can also let everyone else see your comments if you send them to me at PatLit. PatLit's previous blog finished with the comment that successful patent plaintiff Google was now chasing Hyperphrase for $500,000 in costs. If you can't collect the cash from the unsuccessful, you may find it equally tough recovering it from your insurance company, as disk drive maker Seagate Technology is finding. Having settled a patent infringement dispute against Cornice Inc. two years ago, Seagate is now suing National Union Fire Insurance Co. of Pittsburgh, which has paid just $4 million of the $10 million it cost Seagate to bring its action. Seagate maintains that National Union gave it the green light to defend against Cornice's invalidity counterclaims. National Union denies liability and says Seagate, in defending the counterclaim, didn't comply with the "Liability Deductible Plan Endorsement" in the policy or the payment agreement. The dispute is heading for a full trial, following two abortive attempts at mediation, though it seems that National Union is seeking to invoke an arbitration clause. PatLit makes two comments here. First, this blog wonders whether Seagate has been able to insure against the cost of suing its insurance company. Secondly, there's presumably some good news here for expert witnesses who, having established their credentials in patent infringement and validity suits, can build a second career by giving expert testimony in patent insurance litigation too. Does vigorous defence deter spurious suits? Writing for Bloomberg.com today, Susan Decker ("Google Mounts Patent Claim Assault by Fighting More Lawsuits") raises the issue of whether overt aggression is the best form of defence, discussing Google Inc.'s current preference for litigation over settlement in order to deter frivolous patent infringement lawsuits. The background to Google's policy shift is that the number of patent challenges against Google rose to 14 last year, from 11 in 2007 and three in 2006. Another 24 US patent infringement cases are currently pending. An examination of federal court dockets shows that Google didn’t settle any patent challenges in 2008, in contrast with its more conciliatory practice in previous years. Alan Fisch (Kaye Scholer) -- who is not involved in any Google patent infringement litigation -- observes that a court ruling can result in verdicts costing hundreds of millions of dollars, which often makes settlement a smarter solution, avoiding drawn-out cases and legal fees, adding "If you’re going to take a hard-line approach, you’d better back it up with victories". "The typical reaction of litigation-oriented attorneys is there’s no sense talking to Google, you might as well just sue them. They want to project a very aggressive approach to litigation". Google and Hyperphase are now locked in a post-infringement spat over legal costs, with Google chasing the unsuccessful plaintiff for half a million dollars. Google has said that it wasn't opposed to settling claims in an appropriate case, but it was anxious not to be seen as a soft touch. Patent Law and Theory is the title of the latest book emerge from the stable of Anglo-American publishing house Edward Elgar Publishing. Edited by Toshiko Takenaka (Professor of Law and Director, Center for Advanced Study and Research on Intellectual Property, University of Washington School of Law, US), this book forms part of the publisher's Research Handbooks in Intellectual Property series, under the editorship of PatLit team member Jeremy Phillips. Full details of the book and its contributors can be found on the Edward Elgar website here. 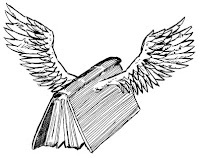 To mark the event, law firm Olswang -- where Jeremy holds an IP consultancy -- has kindly agreed to make its London office available for a Patent Seminar which metamorphoses into a book launch reception at the point when the chairman closes the afternoon programme and the corks start popping. The seminar takes place in the afternoon of Tuesday 17 March, is free, has some great speakers, comes with 3 CPD points and is likely to be oversubscribed. Copies of the book, possibly with the ink still wet, should be available too, at knock-down prices (if you want to buy it) or to inspect (if you don't). * "Patent litigation: at what price?" in which PatLit team member Michael Burdon (Olswang) looks at the direction taken by the debate on affordable patent litigation since he first tabled the Burdon Plan. There then follows the cocktail reception, to which Edward Elgar Publishing and Olswang are delighted to invite you. If you'd like to attend the afternoon, please respond to the electronic invitation here. 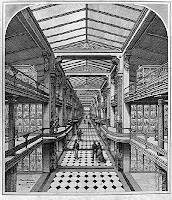 The full text of the decision is not yet available on the BAILII database, but Mr Justice Kitchin's decision in ratiopharm (UK) Limited and another v Alza Corporation; Alza Corporation and another v Sandoz Limited  EWHC 213 (Pat) -- picked up by LexisNexis Butterworths -- reminds how to go about establishing inventive step. 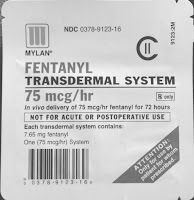 The dispute related to, inter alia, the validity of a patent for a transdermal patch for the delivery of the opioid fentanyl. The judge held the patent infringed, but invalid. "In addressing the question of obviousness, it was convenient to use the following structured approach. First, the notional 'person skilled in the art' and the relevant common general knowledge of that person had to be identified. The common general knowledge was the common stock of knowledge of the persons skilled in the relevant art. Second, the inventive concept of the claim in question had to be identified, or, if that was not possible, the claim had to be construed. Third, what, if any, differences existed between the matter cited as forming part of the 'state of the art' and the inventive concept of the claim or the claim as construed had to be identified. Finally, the court should ask whether, when viewed without any knowledge of the alleged invention as claimed, those differences constituted steps which would have been obvious to the person skilled in the art or whether they required any degree of invention. In answering that final question, the court had to take into account all the relevant circumstances. Further, the court should be aware of the danger of allowing 'obvious to try' arguments to invalidate commercially valuable patents in research-intensive fields". Without seeing the case in full, it is not possible to appreciate the context and strength of the warning in that final sentence. It will be good to see if the judge explains how the commercial value of a drug patent -- which is not crystallised until a future post-patent phase in which the regulatory niceties have been complied with -- relates to the patent's obviousness, which is an inherently retrospectively measured criterion of validity. The judge's words also lead to an interesting thought about inventive step. In the UK many approaches have been developed by those who seek to persuade a court that a patent lacks inventive step. These range from highly technical assessments of the prior art and what the notional person(s) skilled in the art might have made of it, through to market-based tests such as "long-felt want" or "commercial success" which pay little or no serious attention to prior art at all. The greater the number of bases for arguing inventive step, the greater the time and cost invested in dealing with them. What would come in handy would be an algorithm for establishing which tests were vital, useful or irrelevant in which situations, which might be drawn to the attention of the parties when an action was still in its case management phase. Would this be feasible, I wonder? The Italian Procedural Civil system offers different means to the owner of an infringed (or under the risk of being infringed) right, to protect it before the beginning of the trial and in some cases even without it having been granted. Especially in IP litigation, because of the big losses to which unchecked infringement would lead and because of the risk of destroying the long-term investment made by the owner, the need to react immediately to every kind of infringement is well met. The Act for the protection of industrial rights (Decreto Legislativo n. 30/05) provides three special kinds of pre-emptive remedy, which only the judge can provide. Each of them allows the owner to cover a specific aspect of his right. Sequestration ("sequestro", under Articles 129 and 132 of the same Act) allows the owner not only to sequestrate such goods and instruments but also to let him sequestrate evidence of the infringement. The inhibitory order ("inibitoria", under Articles 131 and 131 of that Act) allows the owner to stop every kind of activity related to the infringement and represents a very flexible instrument, because the judge can order either the cessation of the production, diffusion, importation or export etc. of the illegal goods and/or services. The main difference between the inhibitory order and the sequestration is the focus of their protection: in the former the owner asks for the provision of limits over specific goods and/or services, in the latter the owner asks for the imposition of a duty on the person presumed liable for the infringement. The Italian system provides also a general pre-emptive remedy (under Article 700 of Procedural Civil Code), but using it in a field in which specific remedies are provided is generally said to be inadmissible. Not only does the owner of a patent have the power to act, using these remedies, but so too has the person who has applied for the patent registration. This creates an important asymmetry between the subject who applied for the patent registration, in respect to whom the system provides procedural and substantial protection immediately, since the application has been registered, and the subject interested in a declaration of the patent nullity, who has the power to bring such a claim only after the patent registration. The decision today of the Court of Appeal for England and Wales in Zipher Ltd v Markem Systems Limited and Markem Technologies Limited  EWCA Civ 44 is the latest in a long line of judicial rulings in a dispute that has been in and out of the British courts since Markem first took it into its head to challenge Zipher's proprietorship of two patents back in 2002. It is not the intention of this note to trace the sad history of this contest, but rather to focus on the very helpful contribution made by Lord Neuberger (this is now the third occasion in recent months that a Law Lord has descended to the lower appellate court in order to deliver a leading judgment: see also here and here). In his judgment, with which Lord Justice Jacob and Sir Peter Gibson concurred, he clarified the issue that had bedevilled the minds of too many expensive lawyers for too long: had Zipher given an undertaking to the court that it would not further press its case regarding the first four claims of a disputed patent, or had it not? "An undertaking is a very serious matter with potentially very serious consequences. It is a solemn promise to the court, breach of which can lead to imprisonment or a heavy fine. Accordingly, there should never be room for argument as to whether or not an undertaking has been given. Further, while there is inevitably sometimes room for argument as to the interpretation of an undertaking, the circumstances in which such arguments can be raised should be kept to a minimum. Accordingly, any undertaking should be expressed in full and clear terms and should also be recorded in writing. ... in a case where there is a bona fide dispute as to whether an undertaking has been given, the fact that neither the existence nor the terms of the undertaking has been recorded in writing militates against an undertaking having been given. All the more so where the court has made an order in which the undertaking, if given, could and should have been recorded. ... in a case where an undertaking has been given, even where the court makes no order, that ought itself be recorded in a formal order which should recite in full any undertaking that has been given. ... it must also follow ... that, where the terms of an undertaking could equally well be interpreted as having a narrow scope or a wide scope, it is the narrower scope which must prevail. 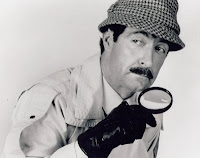 An accusation that there has been a breach of an undertaking has similarities with an allegation of criminal behaviour, and it therefore must be right that, where two interpretations of an undertaking are equally convincing, the less stringent one should prevail. (Of course, in some circumstances, the terms of an undertaking may be ambiguous in such a way as to render the undertaking simply unenforceable). In this case, the undertaking is said to have been given orally, and was never committed to writing (save that the variation to the patent which would have resulted from the alleged undertaking was written down and handed to the court). The argument as to whether an undertaking was given, and what its terms were, has therefore centred on the transcript of what was said at the hearing. Quite apart from the self-evident undesirability of courts having to trawl through transcripts of earlier hearings to consider whether any binding commitments were made on behalf of any party, and, if so, the meaning and extent of any commitment, there are, I think, four points of principle to bear in mind when considering transcripts in such circumstances. ... The fact that undertakings should be recorded formally in writing in clear terms does not mean that the court is bound to conclude that, where that has not happened, no undertaking has been given. There is no rule that an undertaking given to the court must be recorded in writing before it can be effective. In other words, whether an undertaking has been given is ultimately a question of fact in each case. Equally, the fact that, in cases of doubt, an undertaking should be construed beneficially to the person who gave it, does not mean that the court should search for uncertainties or ambiguities in undertakings. Ultimately, an undertaking is to be interpreted in the same way as any other document (assuming that it is in documentary form, as it ought to be)". On the facts the Court of Appeal, allowing the appeal, held that no undertaking had been given. with luck, if the court's words are heeded, this issue will never need to trouble any judge in patent proceedings again. According to today's Pharma Times ("EU pharma inquiry submissions to be made public soon"), the public consultation following the European Commission’s inquiry into alleged anti-competitive practices in the pharma sector received more than 40 submissions, which will be made public "within the next few weeks", according to Commission spokesman Jonathan Todd. The Commission's definitive report is expected "before the summer". Issues specifically investigated by the Commission include “patent clusters” (the making of multiple patent applications for the same product) and lengthy patent litigation: more than 700 cases were brought during the seven-year period, each one lasting an average of three years and with generics firms winning around 60% of cases. Also on the list are “reverse payment settlements”, made by patent owners to generics companies in order to keep them off the market. Cynics might wonder whether, if patent litigation is viewed as an anticompetitive practice, it might seem a little strange that payments made in order to avoid patent litigation are equally suspect. The South East Texas Record has flagged an action initiated by two technology companies that are claiming than US$1 million from their attorneys who, they allege, did an inadequate job of representing them in a Marshall (South East Texas) patent infringement lawsuit and overcharged them too. The plaintiffs in these proceedings are a US corporation, Massachussetts-based DataTern Inc. and Amphion Innovations plc, registered in the Isle of Man. The defendant is Wisconsin-based Foley & Lardner LLP, a respected law firm most recently in the news for taking controversial former USPTO Director John Dudas into its partnership. DataTern and Amphion allege that, in an action against Red Hat for patent infringement, an unsigned agreement provided for "reasonable hourly rates" to be charged "only for tasks necessary to advance plaintiffs' interest" and that Foley would directly pay any third-party expenses. Although the infringement claim against Red Hat settled in December 2008, the plaintiffs maintain that "Defendants' actions have caused and will continue to cause damage to plaintiffs". Canada Tech Info brings news of yesterday's settlement of patent litigation that has been rumbling on since July 2006 between NYSE-listed Micron Technology, Inc. and its Canadian adversary MOSAID Technologies Inc. Under the settlement, Micron will receive a 10-year licence to some of MOSAID's patents, including a life-of-patents licence for all such patents throughout a defined capture period and a fixed-term licence for subsequent patents. Micron's Dynamic Random Access Memory (DRAM), Flash, and other memory and image sensor products are reported to be licensed under the agreement. Micron will make a series of fixed cash payments to MOSAID, which will acquire title to 400 Micron patents, this portfolio consisting of patents related to DRAM, Flash memory, and semiconductor process technology. In the first four quarters after the effective date, MOSAID will make fixed payments to Micron, these payments being credited against future payment obligations to Micron under a royalty revenue-share scheme. Further terms of the deal remain confidential. The former foes will now bury the hatchet by filng a joint motion in the US District Court for the Northern District of California to dismiss with prejudice all claims. Settlements that are as sophisticated as this constitute a category of dispute resolution outcome that is far beyond the scope of any court to order. However, without the direct and ever-present threat of patent litigation, the imperative commitment to devote the time and resources that are necessary to shape a deal such as this, not to mention the effort directed to the reconstruction of each party's business plans, would be lacking. PatLit thanks Neil Wilkof (Herzog Fox Neeman) for the lead. "Pursuant to the terms of the patent license agreement (the "agreement") entered into on January 14, 2009 and effective as of November 24, 2008, by and between InterDigital, Inc.’s wholly-owned subsidiary InterDigital Communications, LLC and patent licensing subsidiaries (collectively, "InterDigital") and Samsung Electronics Co., Ltd. ("Samsung"), and in connection with InterDigital’s receipt of Samsung’s first payment under the agreement, the parties are jointly filing (i) a motion with the United States International Trade Commission ("USITC") to terminate the USITC action on the basis of settlement, (ii) a request with the arbitral tribunal operating under the auspices of the International Court of Arbitration of the International Chamber of Commerce to dismiss and administratively close the Samsung 3rd Arbitration, (iii) a stipulation with the United States Court of Appeals for the Second Circuit dismissing the appeal pending between the parties, and (iv) stipulations with the United States District Court for the District of Delaware to dismiss the parties’ proceedings therein". 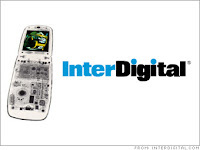 InterDigital is not yet in a position to m,ake any significant comment on this deal beyond the text of the 8-K. Source: Diana Swanson (Financial Dynamics). Another recent case not yet available on BAILII but picked up on the Lawtel subscription-only service is Schutz (UK) Ltd v Werit UK; Schutz UK Ltd, Schutz GmbH & Co KgAA v Delta Containers Ltd  EWHC 131 (Pat), a decision of Mr Justice Kitchen a week ago. 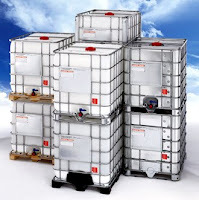 Schutz, which owned a package of intellectual property rights in its intermediate bulk containers, sued Werit for patent infringement and Delta for patent infringement, trade mark infringement and passing off. Schutz and Delta agreed that the patent claim against Delta would be stayed, so long as Delta agreed to be bound by the outcome in the proceedings against Werit, but Schutz refused to stay the trade mark infringement and passing off claims. At this point there was a clear need for some firm case management. At a case management conference before Kitchin J, both Werit and Delta submitted that the trade mark and passing off claims should be stayed pending the outcome of the action against Werit, while Schutz maintained that, because of the overlap of evidence, the patent, trade mark, and passing off claims in both actions should be heard together, employing specific case management directions so as to avoid the defendants having to attend when they were not required. Schutz contended that (1) the evidential overlap was considerable, (2) there was a risk of inconsistent evidence if the actions proceeded separately and that (3) separate hearings would result in a waste of costs. 1. In principle, where all the parties could afford to litigate, it made sense for the two actions to be heard together where there was considerable overlap of evidence. 2. In this case, however, Delta was a tiny company and had agreed to be bound by the judgment on infringement and validity in the proceedings against Werit. Further, if Schutz succeeded against Werit, the action against Delta was likely to be redundant since Delta would be unable to continue in that line of business. 3. This being so, the appropriate direction was not a stay: the actions should be heard sequentially, but nine months apart, so that both transcripts and judgments would be available in order to reduce inconsistency. 4. This approach would not result in a substantial increase in the total length of court time, and the use of sequential trials would avoid the need for both defendants to be represented throughout -- which would be wasteful and might unjustly prevent Delta from participating. This seems a creative solution, one that neither side was apparently pressing for either. Without access to the specific facts we may never know precisely how much benefit may arise from the choice of sequential actions ahead of a stay. Where trade mark infringement or passing off are at stake and the alleged infringement is continuing, the potential damage caused to the claimant's reputation suggest that those claims are less likely to be stayed or placed second in sequential trials. Globe Law and Business are shortly to bring out a new title, International Patent Litigation: Developing an Effective Strategy. PatLit is fortunate to have got hold of the proofs, which make for some interesting reading. Under the aegis of Consulting Editor David Wilson (Herbert Smith), a compendium of patent litigation strategy contributions from some 15 countries has been put together, plus a lead chapter in which David Wilson provides an overview of issues in strategy development. The chapters are drawn principally from European jurisdictions, with the addition of Japan and the United States. It is hoped that any future edition will cover India too, since that is the source of so much of the energy and long-distance thinking that has begun to shape patent litigation policy well beyond the subcontinent (think Ranbaxy and LIPITOR, for example). Realistically, an arguable case can be made that there should already have been a separate chapter headed "Europe", since the jurisprudence of the European Court of Justice in recent years -- and the wealth of commentary upon it -- suggests that European patent litigation strategy is almost a discipline that stands on its own. This book, as is clearly indicated, is not a "this is how you do it" practitioners' textbook. Given the complexity of the subject and the spread of jurisdictions, at fewer than 300 pages it could hardly be one. Its strength is that its authors offer lots of different ways of doing things, whether it's in terms of picking a team, getting one's timing right, weighing risks against benefits or putting together a Plan B in case Plan A doesn't work. Details of the book can be found here on the publisher's website. If you want any further information, you can email Sian O'Neill here.